It was a really cold morning. The frost on the grass was quite thick even for the season. I took this image to communicate the sense of abandon which often in winter has the countryside. It’s a strong feeling, which together with silence leave you breathless. The use of sepia tint enhance this feeling. 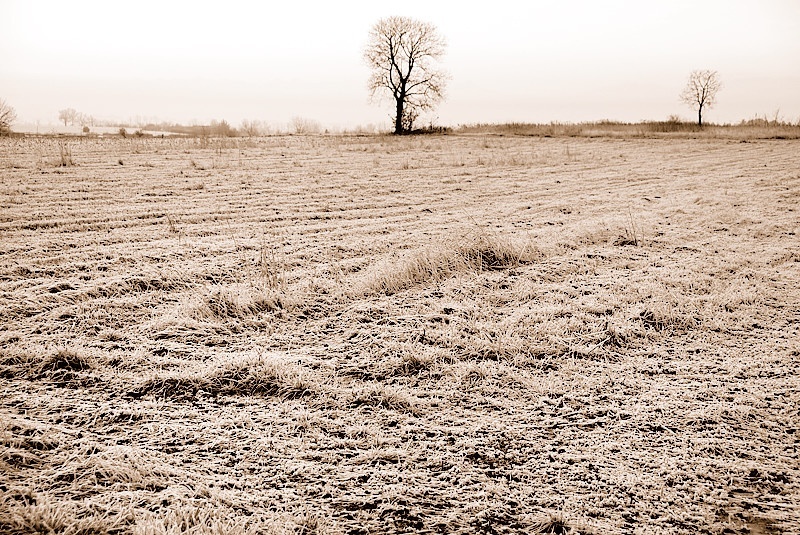 This entry was posted in Black and white, Landscape and tagged Black and white, breathless, cold, cold morning, countryside, environment, field, freeze, frost, frosty, frozen, grass, image, morning, sea, sepia, silence, sky, sunrise, winter. Bookmark the permalink. Simple and frozen shot. I like it. Well done.